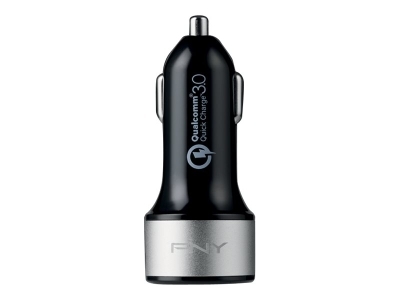 Thanks to the PNY Quick Charge 3.0 car charger, keep your mobile devices fully charged while in the car and on the go. Simply plug the PNY USB charger into your vehicle's 12 volt power outlet and connect via your device's USB cable for rapid charging. With up to 3 Amps of charging capability, this charger is powerful enough to take on tablet PCs, smartphones, e-readers, MP3 Players or any other USB powered device.